Neptune's Defenders: The New York Times answers your questions. The facts, straight up. If you weren't mad at BP before, read this New York Times article and gain some insight into the severity of the situation. This is mandatory reading for everyone. "Since the Deepwater Horizon oil rig exploded in the Gulf of Mexico in April, killing 11 and setting off the biggest maritime oil spill in the nation’s history, questions about the potential dimensions of the disaster have only multiplied from week to week. 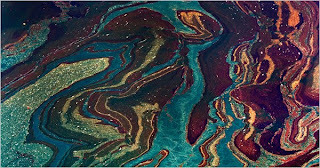 Readers have been asking whether the oil can be contained, how serious the damage will be and what they can do to help."